Administrative forms you need to complete and return to Cambridge – What can we help you with? This is a pre-printed list of all candidates entered for the upcoming exam series. If you do not use electronic systems to submit forecast grades, pass this form on to the relevant teachers, and they should enter forecast grades for all the listed candidates. One set per syllabus. 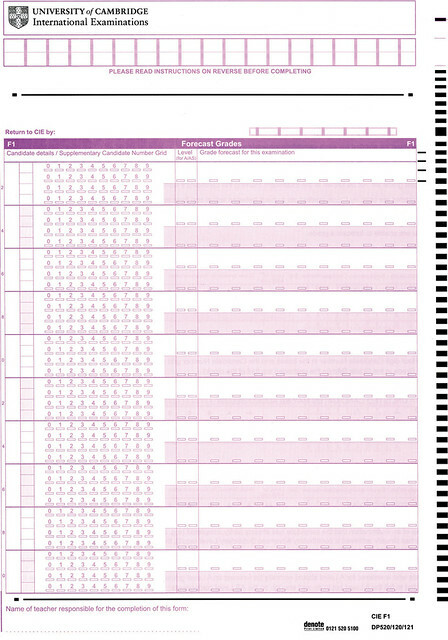 If you do not receive this in your despatch, please contact us, or use the supplementary F1 form below. 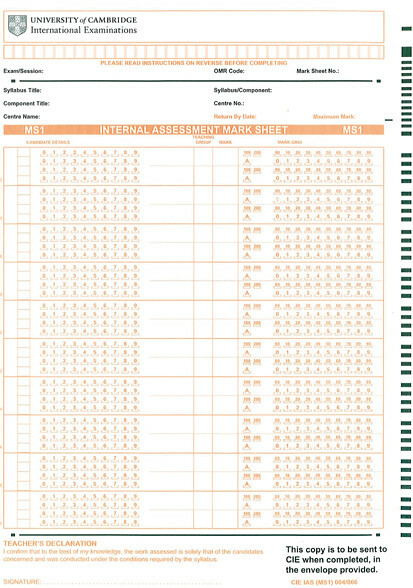 If you do not use electronic systems to submit internal assessment marks, pass this sheet on to the relevant teachers to record internal assessment marks. One set per internally assessed component. Instructions are on the back of the form. If you do not receive this in your despatch, please contact us, or use the supplementary MS1 form below. 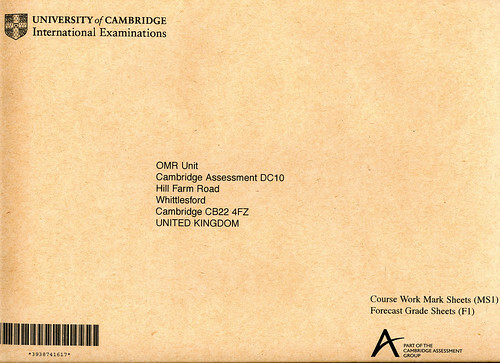 Forecast Grade forms (F1) and Internal Assessment mark sheets (MS1) should be returned to Cambridge using the return envelope provided (see image below). Two of these are provided to each school, and they must arrive at Cambridge no later than 30 April for the June series and 31 October for the November series.